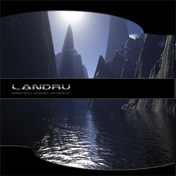 Exobiology is the first published work by Landru which was released in 2007. It represents the consolidation of a musical project developed during more than a decade based on electronic landscapes, ethnic voices and vibrating grooves. Among the 12 included tracks, you may find all kind of electronic compositions, from Big Beat to Dance and Chillout themes. 11. Is There In Truth No Beauty?